Looking for the best blender for making frappuccino drinks? We've been blending for over 7+ years and we have to admit. We've made several frappuccino style drinks in the process. Nutribullet 600 – An extremely affordable option for blending up a frappuccino without any frills. Simply add your ingredients and slap it on the base and go! 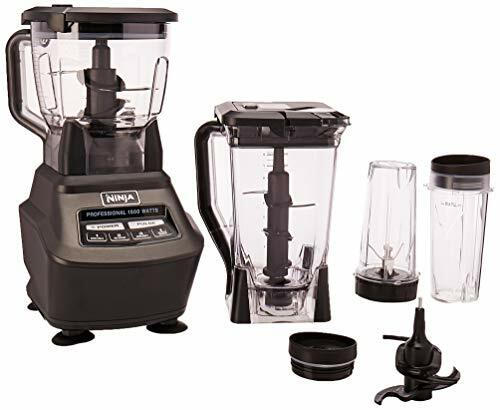 Ninja Mega Kitchen System – This one has a variety of different cup sizes in case you want to make frappuccinos for two or more people! You can also do a bunch of other things like use it as a food processor. Since you’re already investing in a blender, why not? 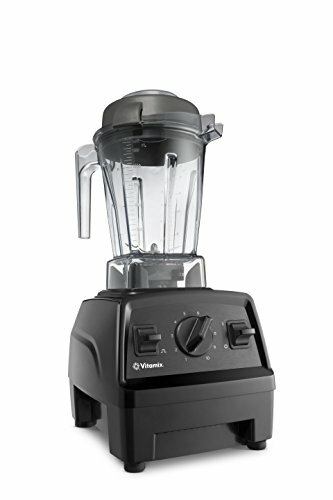 Vitamix Explorian E310 – This is the best of the best for frappuccinos. All the others can get the job done, but the Vitamix can just do so much more. Soups, sauces, thick smoothies and whatever else you want. If you’ve got the budget for it – go with the E310 all the way! Why Are These Good for Frappuccinos? Because there's usually plenty of liquid, you don't have to worry about getting something super heavy-duty. It's not like you're blending up nut butter or anything like that. They have more than enough power to crush ice, as long as there is enough liquid in there. Some of them have to-go cups if you want to take it on your frapp on your morning commute. They're from reliable brands. We've owned several Ninjas, Vitamix models, and Nutribullets throughout the years and were pleased with all of them. Keep in mind, that if you want to make the thickest of the thick frapps, the Vitamix is always the best choice, but typically the most expensive. The more powerful the blender, the less liquid you can get away with adding. In this video, you can see me making a healthy version of a Frappuccino in the Nutribullet Pro 900. Now, that's a bit more powerful than the 600 which is on this guide, but I put a lot into this frappuccino including frozen bananas. As you can see, it was able to handle of it without any issue. If you can, this is how I'd recommend doing it. It comes out just as good with the healthier and less processed ingredients. In the video above, you can see a woman making a more traditional frapp with the pumps, syrups and with dairy milk. But the main thing to notice is not the ingredients, but the fact that she did it in the Magic Bullet. Well, the Magic Bullet is the previous model of the Nutribullet 600 which was on this list. It's LESS powerful and was still able to do a great job. 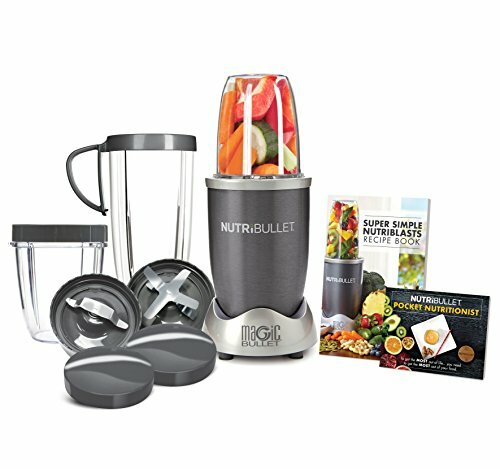 That said, you can go with that, but going with the Nutribullet 600 like we recommended will make it much more seamless. Why We Picked It: It's small, affordable, yet strong enough for frappuccinos. The to-go cups make it easy to bring your blended creation with you wherever you go. Compared to Starbucks, this blender will pay for itself within a very short period of time -- especially if you're a frappuccino addict! Who It's For: Smaller family or single individual on a limited budget. Pros: ​Cheap, Plenty of To-Go Cups. Cons: Small batches only. Not super powerful for more heavy-duty tasks. Why We Picked It: ​It's got a genius design that can do it all. You can make large and small batches of frappuccinos or smoothies because it has so many different jar sizes. Just like the Nutribullet, you can also blend right in the to-go cups and take it on the road. Who It's For: ​Great for anyone because of all the size options. Pros: ​Can do much more than Frappuccinos. Also functions as Food Processor. Can do large batches. Also has to-go cups. Cons: Bulky. May be overkill for the task. Why We Picked It: This is a blender that you'll have for years to come. Vitamix has the best warranty and making frappuccinos only scratches the surface of what it can do. From soups, smoothies, batters, hot soups, whole juices and more -- it's worth investing in if you've got the budget for it. Who It's For: Anyone who has the budget for it. It's great for individuals and large families. Pros: Extremely long warranty. Super powerful. Cons: No to-go cups. Must purchase different jar sizes separately. Okay, so you've got a few different options here, but they're all good enough to get the job done. If you just need something that can get the job done for cheap, get the Nutribullet 600. Want something that’s affordable but goes far beyond basic blending capabilities? Get the Ninja Mega Kitchen System. If you want the best of the best, then you have to get the Vitamix Explorian E310. If you want to learn more about blenders our types of blender guide is something you should definitely check out.